Happy cyber week! Instead of just celebrating one day where sales only lasted 24 hours we decided to celebrate for a whole week! We wanted to bring you THE BEST deals all week long! We've rounded up our top 5 picks from our Cyber Week Flash Sale and we wanted to share them with you! For an added bonus every order $100 and over will receive a FREE scarf! The best thing about this sale is you don't even have to leave your house. 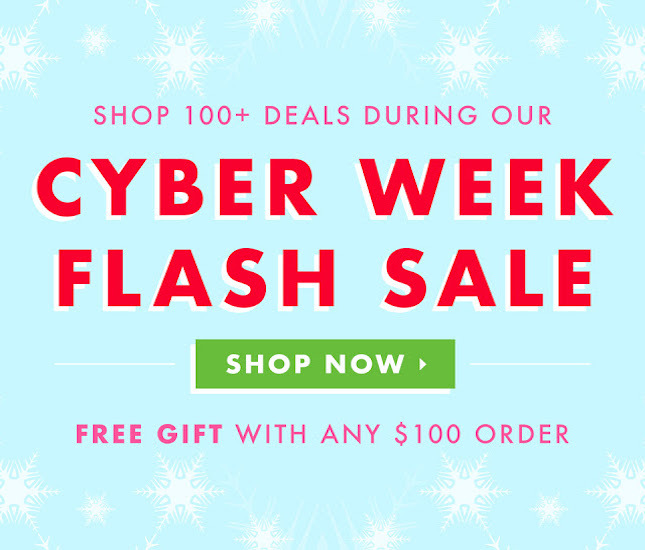 Curl up on the couch, turn on your favorite Hallmark movie and let's get to Cyber week shopping! 'Tis the season for Christmas lights, hot chocolate, and coats! It is officially winter and It. Is. COLD. I mean like really cold! The Monogrammed Quilted Barn Coat features a quilted design in a lovely olive color with a gold zipper and buttons. The great thing about a versatile coat like this is you can wear it with a thin long sleeve tee or sweater and scarf for a little-added warmth! It also features suede detailing on the sleeves and pockets which is a huge trend for fall! If you don't own anything Sherpa, you need to order this right now! This Sherpa Pullover is the cutest and softest pullover I have ever worn! The Monogrammed Reversible Sherpa Pullover features a snap closure neckline and a fold over collar. This pullover is reversible and features a luxurious sherpa material on one side and plaid on the other side. Sure to keep you warm and cozy all season long! The Monogrammed Boyfriend Sweater is probably one of my absolute favorite sweaters! It's cute, comfy, and you can style it so many ways! And did I mention it comes in four colors? The Boyfriend Sweater was made to have an over-sized fit with side slits and a high-low hemline. I would personally style the gray boyfriend sweater with a plaid collard tunic underneath, dark wash jeans, and booties for a more dressy look. If you need a more comfy look, add a pair of leggings and sherpa booties! Nothing says 'Tis the Season more than matching pajama sets with your BFF! The Monogrammed Pajama Legging Set features a fun snowflake inspired pattern with pink detailing on the sleeves and pocket. Snuggle up by the fireplace with a cup of Hot Chocolate and enjoy the holidays with friends and family! My oh my how we just love a good comfy robe! The Monogrammed Sherpa Bath Robe is lined with an adorable plaid material and features sherpa on the sleeves and neckline for extra coziness. Grab a pair of matching slippers and a blanket and you are all set for a night of binge-watching Hallmark Christmas movies.